No! Not a Hummus Recall! Ever wonder what 30,000 cases of humus look like? I hadn’t until this very moment when I read about that number of cases being recalled for potential listeria contamination. Mercy that’s a lot of hummus. Listeria is a nasty bugger. If you buy hummus at the store, please check the details on this one. If you’d like to save a little money and have the freedom to make your hummus just as you like, take a look at all of our hummus recipes. Just search hummus and you’ll have plenty of options. Eat well, be well friends. Looks like we’re having a big spinach problem friends. If you have any spinach or spinach products in your house, please read the details that follow. This one has been expanded and it would be good to check where your spinach originates. Twin City Foods (Washington state) has recalled several varieties of frozen spinach sold under a variety of name brands in places all over the country. Details here. Superior Foods (sold at Target nationwide) is recalling frozen organic spinach for possible listeria. Details here. La Terra Fina has recalled spinach and spinach and artichoke dip sold in Costco stores nationwide and Smart on the West Coast. Again the recall was for listeria. Details here. I have to say I would be a little cautious about spinach until a little more time has passed to be sure they’ve figured out the scope. Antioch Farms partially prepared chicken products (sounds appetizing, right?) recalled for possible salmonella. Please see details here. All Natural Jonah Crab Meat recalled for listeria. See here for details, and ignore the picture as it doesn’t seem to match the description of the container being recalled… Eat well, be well friends. I’m reasonably certain that what is meant here is not that 150 individual items were recalled, but rather 150 different kinds of prepared foods have been recalled. I can’t find any specific number of the total being recalled, and I’m going to admit I might be glad about that at the moment. 150 Food Products. I DO love when it’s called a food product. 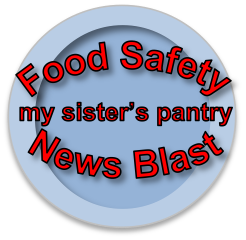 At any rate, these particular food products may have listeria, so you may want to give this list a check, especially if you live in the South and eat any one of 150 different types of food products. Eat well, be well friends. Those of you who’ve been playing along know I’m not likely to have any of these in my kitchen, but where these recalls are concerned, I have this lingering fear that someday I’ll read one a few days too late and see the list of foods I’ve given my kids for dinner. I was late on the nectarine recall over the summer and was so glad I hadn’t shared them with the kids… thus my motivation for sharing recalls for foods I don’t eat. Someone might be serving them up for dinner tomorrow. Frozen chicken details (Foster Farms strikes again, listeria) here. Smoked steelhead details (listeria) here, and beef corn dogs (improper storage) here. Even if these are not foods you eat, please pass these along. Clean fridges, clean freezers, clean eating – but you don’t have to clean your plate – no matter what your mother told you. Eat well be well friends. Smith’s Country Cheese gouda cheese recalled. Sold under different names, check the details if you gotta gouda. Sliced, smoked salmon from Illinois (how that makes sense I’ll never know) recalled. Sold in grocery stores far away from Illinois. Check the details if you have some, share it if you don’t – I mean the news, not the fish. Eat well, be well friends! Trader Joe’s egg white salad with chives recalled for listeria. Details here. Comprehensive list of chia powders recalled. Details on salmonella in chia powder here. Costco Kirkland black pepper recalled for salmonella. Details here. Good grief. I look away for a second and it’s recall mania. 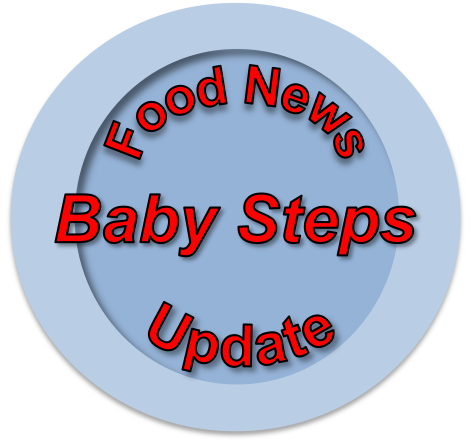 Hummus and other dips for listeria – see here. Cottage cheese for improper storage(?) – here. And 1.8 million pounds of meat for E.Coli – here. If you don’t use these items, please be sure to share this information with your friends. Nasty business. Eat well, be well. Hey there! This caught my eye coming across the wire this morning – for those of you who aren’t allergic to the outside of the mango and are therefore lucky enough to buy them fresh – check out the details on this recall. Listeria is yucky. Eat well, be well.